The An-225 Mriya(Ukrainian airplane) is the largest airplane in the world. It has 6 engines. It was manufactured by a company called Antonov. Three of them were built to carry the Soviet Space Shuttle 'Buran' but since the shuttle was never finished, the planes have been used to carry very large items that cannot be transported another way. 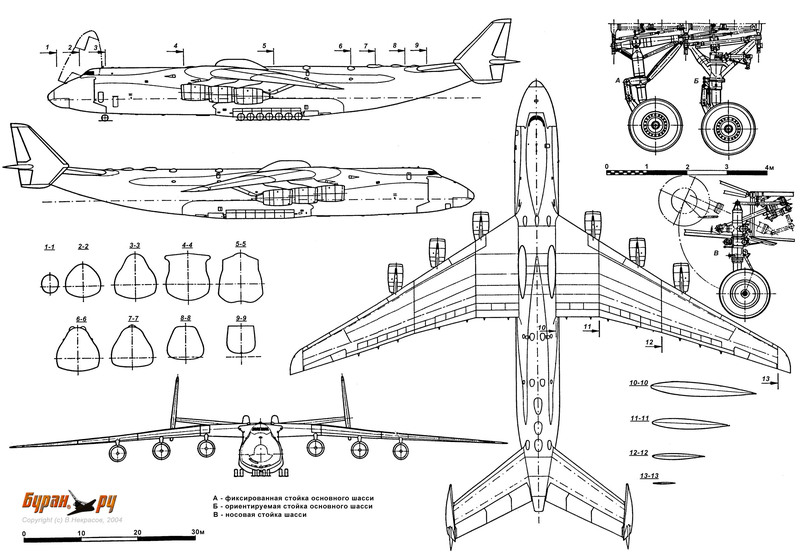 Wikimedia Commons has media related to Antonov An-225. Satellite image at 50 35'20.57"N 30 12'22.00"E on Google Maps, at UKKM Gostomel "Antonov" Airport north-west of Kiev, Ukraine. This page was last changed on 9 March 2015, at 19:05.